We are pleased to share with you the second issue of 200: The Bicentennial Magazine, your source of information about IU Bicentennial activities, as well as unknown and untold stories from the dynamic history of Indiana University. This special 6-issue magazine will keep you updated on Bicentennial activities between now and 2020 and will highlight some untold or unknown stories from the dynamic history of Indiana University. View the magazine now! The Fairbanks School of Public Health's associate dean of research, Dr. Gerardo Maupome, was interviewed by the Indianapolis Business Journal for the series "One City, Worlds Apart." Dr. Maupome spoke about the disparities in dental care in our city, especially as they affect population health, mentioning, "Poor oral health may not be lethal in most instances, but it is a pretty substantial source of problems for people being able to go to work, go to school," he said. In Indianapolis' 10 poorest census tracts, 60 percent of residents had not visited a dentist within 12 months, according to an IBJ analysis of CDC and Census Bureau research. But in the 10 tracts with the lowest poverty rates, just 25 percent hadn't. In a recent interview with Public News Service, Dr. Marion Green, visiting research assistant professor in health policy and management, discusses a survey she and colleagues conducted that found when looking at 18 to 25-year-olds, binge drinking increased after they turned 21, rather than subsiding as previously believed. "Maybe because of a change in underlying social norms as more young people attend college and they delay the age at which they marry and start families," Dr. Green said. "And maybe they want to feel financially stable before they do start a family." Dr. Greentold Public News Service she is hopeful the research can be used to help better target prevention efforts for those of college age and younger. In collaboration with the Regenstrief Institute Center for Biomedical Informatics, FSPH co-sponsored a booth at the recent CDC Public Health Informatics conference in Atlanta, GA from August 20-23, 2018. This conference is held every two years to showcase trends and best practices in the use of informatics systems and methods to improve population health. Nearly 1,000 people attended the conference, and there was great interest in the Public Health Informatics program at FSPH. Attendees were interested not only in the newly launched MPH in Informatics but also the PhD programs as well as the NLM-funded post-doctoral fellowship in Public and Population Health Informatics. Dr. Brian Dixon and Dr. Spencer Lourens anchored a panel discussion on how to integrate data science into public health education programs. 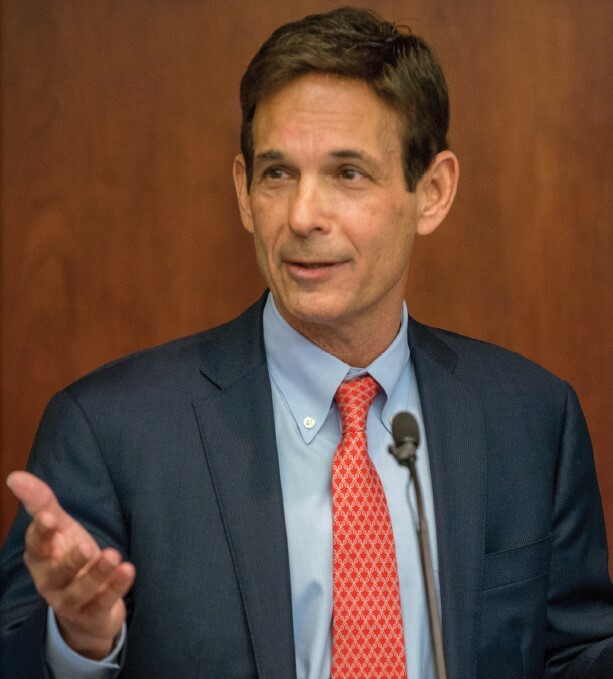 Dr. Dixon also presented alongside representatives from public health departments in Minnesota, New York City, and Massachusetts on the use of electronic health record data to enhance chronic disease surveillance programs. For more information on the various public health informatics opportunities at the school, visit https://fsph.iupui.edu/phinformatics. Dr. Jiali Han, professor of epidemiology, was featured in an MD Linx Oncology article on his recent research that suggests voriconazole may boost the risk of squamous cell carcinoma (SCC) in transplant patients. "Transplant patients at high risk of SCC may require long-term voriconazole use to manage or prevent fungal infections," Dr. Han said. "These findings suggest the need for regular dermatologic monitoring of patients taking voriconazole, or treating them with alternative medications, especially in patients already at high risk of developing SCC." The study was published online in the Journal of the American Academy of Dermatology this August. The great research from faculty, students and graduates of FSPH was on full display at the recently held CDC STD Prevention Conference on Intersecting Epidemics, Integrated Solutions in Washington, DC from August 27-30, 2018. Dr. Brian Dixon along with Yenling Ho, a doctoral student in epidemiology, presented a poster entitled "Syphilis Testing Rates among Women with Stillbirth Deliveries during 2010-2016 in Indiana." Opeyemi Ojo, a doctoral student in epidemiology, presented a poster co-authored by Dr. Dixon, as well as Dr. Janet Arno of the Bellflower Clinic entitled "Comparison of Traditional Reporting Systems in Detection of Gonorrhea to a STD Registry in a Midwest City." Recent MPH graduate Shane Hanley, who now works at the Marion County Public Health Department, presented a network analysis on the "Characteristics of the Main Network Component of Individuals with or Exposed to Early Syphilis in the Indianapolis Metropolitan Statistical Area: 2016-2017." All of these abstracts are included in a supplement published in the journal Sexually Transmitted Diseases at https://journals.lww.com/stdjournal/toc/2018/09002. Once again, we sincerely appreciate every single donation. If you have any questions or would like to chat more about Project Period, please feel free to reach out. Join the Fairbanks School of Public Health on Friday, September 21, from 11:30am to 1:00pm, for the United Way Luncheon featuring IUPUI celebrity server wait staff catering to your dining needs and trying to earn an award for most tips earned for United Way. This luncheon kicks off the annual IUPUI United Way Campaign. Last year we collected 105% of our goal, let's beat that this year! To join us, please reserve your seat with Amanda Briggs at amanbrig@iu.edu. Space is limited. Your lunch will be free. Analgesic Management of Pain in Elite Athletes: A Systematic Review. osteoarthritis in the DOXY clinical trial. Associations of plasma very-long-chain SFA and the metabolic syndrome in adults. Trends in Depressed Mood and Suicidal Behaviors Among Female High School Students Who Engaged in Physical Fighting. The Undergraduate Student Association is hosting a callout meetingthis Monday, September 10 at 4:30pm and invites all interested public health students to attend. The agenda includes learning more about UGSA, their events for the year, and a chance to meet other Public Health students. The Undergraduate Student Association is the official undergraduate school government which provides students a voice in matters pertaining to the affairs of the University and Fairbanks School of Public Health. 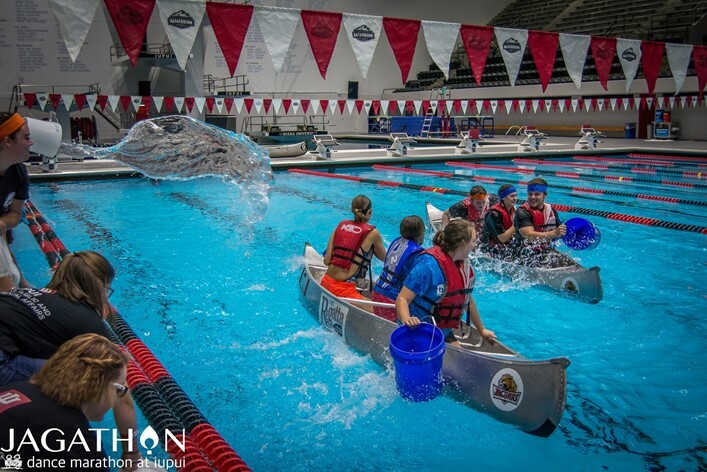 Battleships is an event held by Jagathon in partnership with Campus Recreational Sports, during which teams of three people and an optional alternate attempt to sink one another's canoes in the IUPUI Natatorium competition pool. Spectators can also participate by pouring buckets of water into opposing canoes from outside of the pool. This year, the Battleships competition and finals will be held on Tuesday, September 18th from 8pm-11pm in the Natatorium competition pool. Spots will go fast, so stack your team of three (and an optional alternate) with your strongest, toughest, most balance friends and register before it's too late! Oh, and that's not all...Can't get enough of canoe-related competitions? You're in luck! Registration for Regatta is also open! If you register for Regatta prior to registering for Battleships, we'll cut you a deal. How does $5 off of Battleships registration sound? Look for the discount code in your Regatta confirmation email. Questions? Contact Mackenzie Taylor, Director of Traditions. You're invited to the Indiana Clinical and Translational Sciences Institute's 10th Annual Meeting on Friday, September 14, at IUPUI in Indianapolis. The meeting will be held from 8:30 a.m. to 3:30 p.m. at Hine Hall, 875 W. North St. This year's event will celebrate the Indiana CTSI's 10th anniversary of improving health through research, with presentations focused on"the promises of gene therapy," as well as scientific poster sessions, a panel discussion and valuable networking opportunities. Call for Posters: Submissions due today, August 24. The IU School of Medicine Orchestra (IUSMO) is now actively recruiting all instruments for our upcoming 2018-2019 season. The IUSMO was founded in 2010 and serves as a creative outlet for health professional students, staff, and faculty! They perform two full symphony concerts each year and have several opportunities for small ensemble performances. Rehearsals are Sunday afternoons with a "come as you can" policy. For more information, please email or check out their Facebook page. 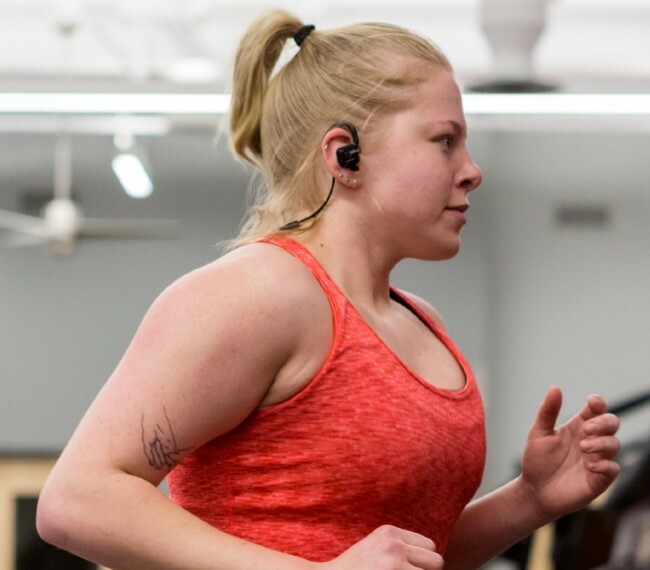 Regardless of your goals and interests, IUPUI Campus Recreationprovides a variety of opportunities that promote healthy lifestyles and success through the Fitness Center, intramural sports, group fitness classes, and club sports. Campus Recreation programs are available to all current IUPUI students, faculty, and staff. IUPUI Global Jags Connect (previously known as the International Host Program) is a bridge between IUPUI international students and IUPUI community members living in the Indianapolis area. We match community connections (alumni, faculty, community members, and staff) with current international students. Community Connections invite students to community events, such as sporting events, festivals, holidays, or invite students to their homes for a meal at least once per month. Global Jags Connect is an excellent way for the IUPUI community to learn more about international cultures. For international students, it is a way to gain a richer understanding of American life and have fun, too! This is not a homestay. Students in Global Jags Connect do not live with their Community Connections. Rather, the alumni, faculty, staff, and community members serving as community connections provide friendship and support for international students, and help introduce students to American life. The 2018 Sign-Up Deadline is Monday, September 10.